Leading glass packaging manufacturer Beatson Clark is once again investing in the future of its Rotherham plant, covering all areas from glass melting, production, inspection, packaging and IT. This latest investment of over £2 million is in addition to the £20 million that has been spent on improvements over the past decade and is part of the company’s commitment to improve quality and maintain excellent customer service. Over Christmas and the New Year, Beatson Clark’s engineers worked hard to install a new amber bottle making machine and upgrade the forehearth. Improvements to the forehearth will enhance glass homogeneity, delivering better quality glass to the machine which will produce high-quality bottles and jars using the latest technology. Installation of the new machine took three weeks to complete and demonstrates the company’s commitment to serving the growing bottled beer market. Beatson Clark also plans to install a new Tiama MX4 inspection machine, a high-tech innovation which will use light sensors to check for smears, splits and wall thickness in the glass. New strapping facilities were also recently trialled and installed at Beatson Clark’s glassworks in Rotherham. The new advanced method of strapping the pallets will significantly reduce the de-palletisation time for high speed lines. Beatson Clark prides itself on providing the best customer service, which is why it has also invested in a QAD Enterprise Resource Planning System. The system includes an updated CRM (customer relationship management) module and will integrate all areas of the business. “Consistent investment in new machinery and technology allows us to remain a market leader in the glass packaging industry,” said Charlotte Taylor, Marketing Manager at Beatson Clark. 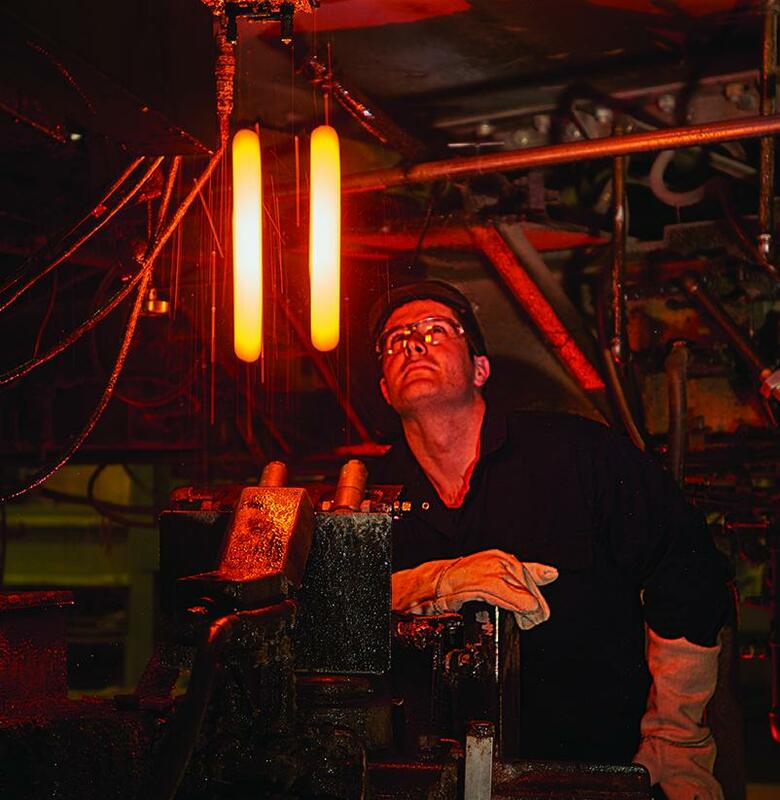 Beatson Clark has been in the business for over 260 years and is one of just six glass manufacturers of glass containers remaining in the UK. It supplies bespoke and standard glass bottles and jars to the food, beverage, brewing and pharmaceutical industries.